BRANDON, MB – A long-time professor at Brandon University (BU) has written a new book to help you achieve your greatest goals. Endpoint Vision: Living Your Preferred Future Now describes how to define your vision, identify critical events and take action to move towards your preferred future. 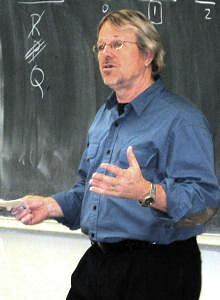 Dr. McMaster developed the Endpoint Vision System (EPV) during his 38 years in the Department of Math and Computer Science. Following his retirement in 2013, Dr. McMaster consolidated years of EPV teachings and seminars to business and community leaders, and elite athletes, and co-authored the book with Vic Lindal. Endpoint Vision: Living Your Preferred Future Now is available at http://www.endpointvision.com/. Currently, Dr. McMaster is collaborating on a new book with a three-time Canadian Olympic athlete.